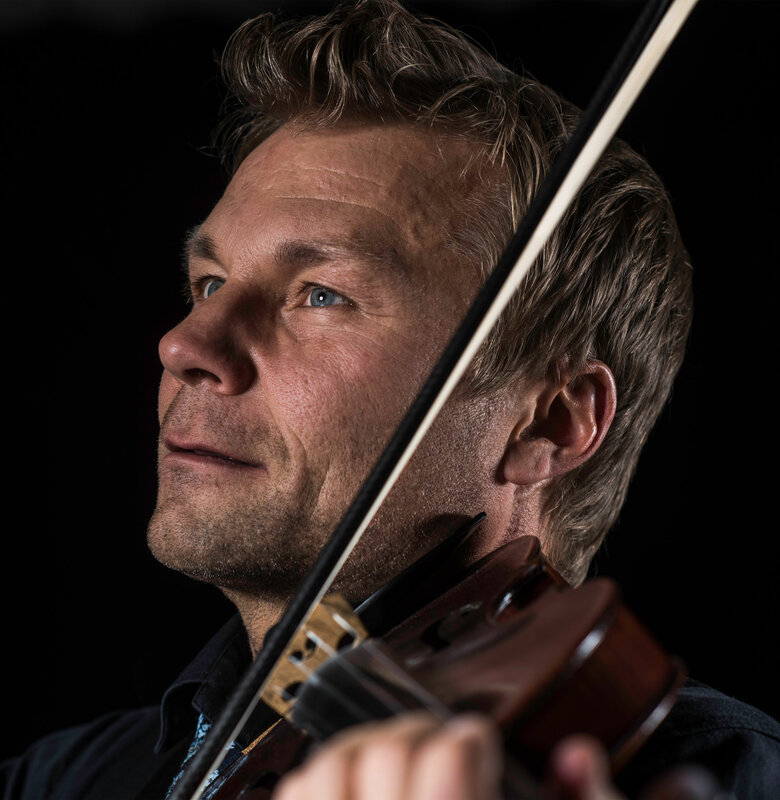 Daniel Wikslund, author, singer and Sweden’s most northern National Master of Fiddle is a dynamic yet affordable attraction for any festivities. He is an ideal entertainer who takes us along on a journey into the world of music and stories with the help of his violin, diatonic accordion, guitar, and seven languages. Daniel plays the violin in a unique way, giving a pulsating rhythm to lyrics of love and desire, but also about the environment, conflicts of power, and social issues. An invitation to stand on your feet during this short time we call life, straight from a wizard of violins, something you’ll never forget once you have experienced it. Daniel Wikslund born in Sweden, 1973. Grandma’s and Grandpa’s guests in Vittangi, Sweden, gather to listen when four year old Daniel sings while standing on a small step stool. That very year he gets his first violin and the story starts. Music classes at the Fryxellska school in Västerås, Sweden (comparable to the Adolf Fredrik school in Stockholm, Sweden). With a heart full of desire, he travels around the world with his guitar. He is studying the violin at community colleges in Sweden and at the Music College in Arvika, Sweden. At the university of Linköping, Sweden, he graduates with a degree for teaching at community colleges. He is touring as a musician and finds his way home to the Tornio Valley and the Ore Fields in Sweden. Earns the degree, National Master of Fiddle. Holder of the Culture Scholarship in Gällivare, Sweden. Author debut which leads to a summer serial in Radio Sweden, P4. Inauguration of Europe’s Culture Capital with the Jörgen Stenberg Band. 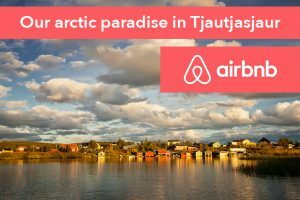 Producing “The Ugly Duckling” and touring Norrbotten, Sweden and Mexico with Fanny Kivimäki. Receives Rubus Arcticus, one of Sweden’s most important grants in art and culture. 7-year jubilee as initiator and producer of the culture festival “Flottkalaset Tjautjasjaur”. 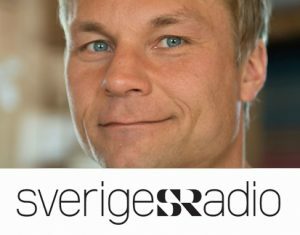 Dozens of radio programs in Radio Sweden P1, “Tankar för dagen”, (Thoughts of the day). Starting to work with Troms county, Norway, as co-producer and performer in a musical due. A many years’ collaboration with folk musicians in Estonia continues in teaching at childrens’ summer camp “Laste oma folk”. One of five main characters in Swedish Television’s reality show “Bastubaletten” about modern and traditional men in the north. As long as the world lives on, passion glows and the melodies are played. Tuli Palo, our little track in time from the National Masters of Fiddle above the Arctic Circle. More “thoughts of the day” in the Swedish National Radio. 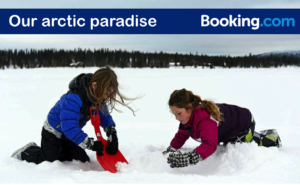 Contributes to establishing the yearly tradition of local theatre in NordTroms. Continues with the Sauna Ballet in Swedish Television. Yet another year teaching at Estonia’s summer camp Laste Oma Folk, co-arranging own music together with choirs in Norrbotten. Represents The Tornio Valley at National day festivities in Stockholm. Performs as a solo artist at “Festival Internacional Cervantino” in Mexico. Bastubaletten on tour with live shows around Sweden. Successfully introduced “Kyläpeli”, traditional theatre in the Reisa Valley, Norway. Planning to continue in 2018. Participates in Litquake Festival, San Francisco, California. Touring with Daniel’s own quartet, presenting the new album “Vintervals” with additional complete version in English “Winter Waltz”. Daniel enjoys participating in certain special and meaningful festivals and events on a regular basis such as “Paaskiviikko”, Norway, “Laste Oma Folk”, Estonia and The European Festival of the Night, Korpilombolo, etc. An initial duo concert in collaboration with Svenska kyrkan at “The Jokkmokk Market”, with Fredrik Hangasjärvi. A final concert as a “Good Bye to Ice Music” in Luleå. Initiates collaboration with Teater Albatross, Halland.